In a large bowl, combine meat, onion, bell pepper, garlic, rice, egg, small can of tomato sauce, and seasonings. Core cabbage and place head in boiling water. Pull leaves off as they begin to wilt slightly. 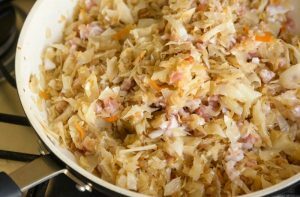 Place equal parts meat mixture in the center of the cabbage leaves. for each leaf, fold ends, roll up, and close with a toothpick. Place rolls in a roasting pan. Mix the large can of tomato sauce with brow sugar and pour over rolls. Cover and bake at 350°, basting occasionally, for 1 1/2 hours. In a large sauce pot, brown sausage over medium heat. Add onion and saute for 3 minutes. Cabbage will wilt as it cooks. 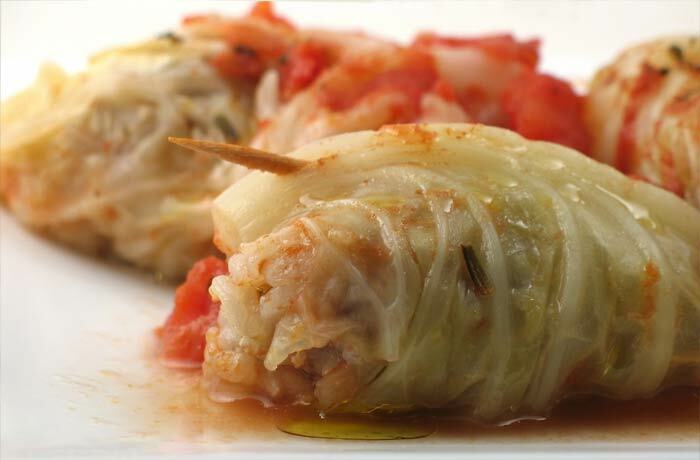 Cook for about 50 minutes, or until cabbage is tender, stirring occasionally. Uncover, add seasonings, and cook for 5 minutes more. Serve as a side or over rice as a main dish.